A guide to our parish Defibrillators. 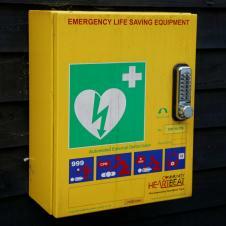 The Defibrillators are located in easy accessed cabinets at Rampton Village Hall, Home Farm on Laneham Street and at Woodbeck Community Centre. The two Rampton units are checked regularly by the Village Hall Warden, the Chairman of Woodbeck Residents Association checks the Woobeck unit.